We had an exceptionally unseasonal winter and have now moved into spring. This was a bummer to me for one major reason. 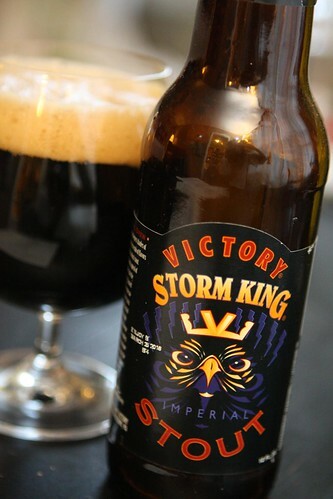 I had purchased this Storm King Imperial Stout from Victory Brewing Company last year in anticipation of a major storm. In the 2010/2011 season we had such a storm once a week, the kind of storm that kept us both home from work with the train and highways being shut down. 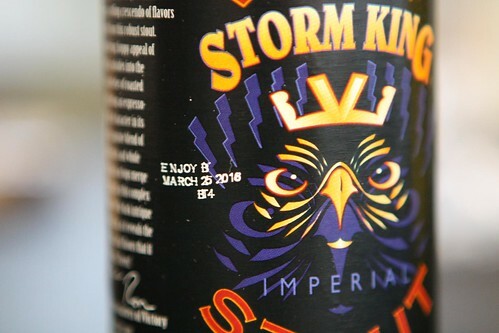 This year we had a total of about two inches of snow and, sadly, the Storm King sat in the fridge untouched. While it was comforting that Victory offered a date of 2016 to drink it by I had really hoped to enjoy it this year. I didn't think that was going to happen until I checked out the weather report this morning. In an effort to plan our holiday weekend I wanted to see what the forecast held. 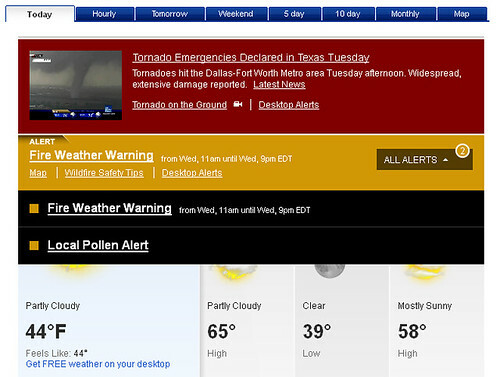 I checked out the temperature and the pollen count but I was shocked when I learned that there was a Fire Weather Warning in effect. Fire weather! I was just excited that, for once, we didn't have a flash flood warning in our area until I realized . . . It's Storm King time, baby! But first, I had to make something for dinner. Jen was at a work event so I was forced to fend for myself. I cleared some things out of the freezer to make this shrimp salad with some cooked shrimp, celery, red onion, dill, radish, mayonnaise, whole grain mustard, hot sauce, salt, and pepper. I served it over some toasted sweet bread Jen had made with some salad greens. 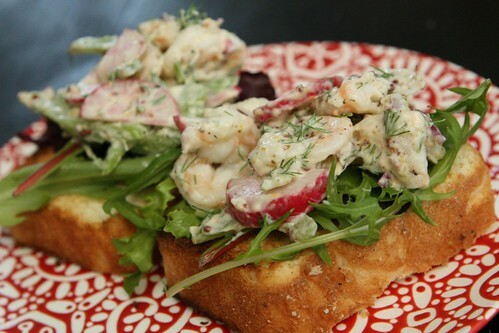 I didn't think that this bread was going to work at all witht he shrimp salad but I was proven wrong. It was delicious, even after three months in the freezer and being reheated in a toaster! After dinner I sat back and awaited my death by fire with this Storm King. This was a very nice imperial stout. It was quite powerful at 9.1% alcohol which always seems to hit me harder in stout form. I know that scientifically this has no basis but it just seems that way. Well, I've got about an hour left to live as this fire storm warning ends at 9:00 PM. It was great knowing you all but I can hear the inevitable approach of the swirling flames outside my window. We had a good run on the blog but all things must come to an end. See you on Friday for our annual Passover feast!